We try to make it easy to participate in giving to the ministry of Christ at City Church. There are lots of ways you can give. Give online here (most common). We live in a digital world. Most of us don’t carry cash or checks anymore. Because of that, we encourage you to set up an account on our simple and elegant giving portal. From there you can easily make one-time or recurring gifts. Once your account is all set up, it will only take a few moments to give. For many of us who are prone to forget, setting regular giving is the way to go. Text to give. Simply text any amount to the number 84321. A link will be sent back. Simply find City Church on the list, connect the account to your phone, and you’re all set. Here’s a little tutorial video if you need a little more help. 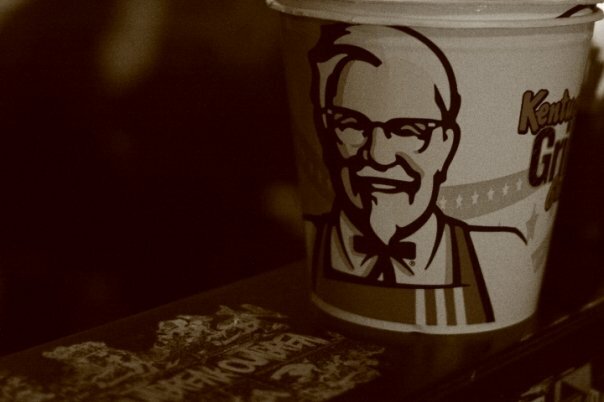 Give on Sundays in the KFC buckets. Yes. We use KFC buckets rather than offering plates. It’s a simple way of disarming it a bit. Just drop a check or cash in the bucket. We even offer giving envelopes if you want to give with cash but still have it be counted for your taxes. They can be found in the foyer. Give through the mail. If you’d like to mail a check (or set up bill pay as some do), send it to 701 W. Broadway, Anaheim CA 92805. If you are interested… here is some biblical explanation as to why we passionately believe in giving to the local church. Financial generosity is part of the obedient life for everyone who calls Jesus the Lord of their life. From the earliest pages of Genesis and throughout the Bible, the Scriptures speak of tithes and offerings. Though often used interchangeably, they are actually different concepts. The word “tithe” means a tenth and represents the Bible’s representation of giving God the first part of our income right off the top. You can find some great articles on the biblical basis for tithing here. We wholeheartedly believe that tithing is one of the most tangible expressions of obedient faith in Christ. The word “offering” is generally used differently in the Bible to denote the idea of a gift above and beyond the normal 10% call from God. This is also something God occasionally asks us to do (read an article about this principle here). Wherever you’re at in your spiritual journey, we encourage you to start getting involved in trusting God with your finances. For many, it is often one of the most spiritually formative experiences outside of meeting Christ as their Savior.